Saturday 10:00 a.m. ~3:00 p.m. Welcome to Interior Design Concepts! Interior Design Concepts was founded in 2015 by Lawrence Hernandez who began his career in 1987. Lawrence now brings to Central Oregon a business specializing in cabinetry not only for kitchens but for bathrooms, offices and closets. 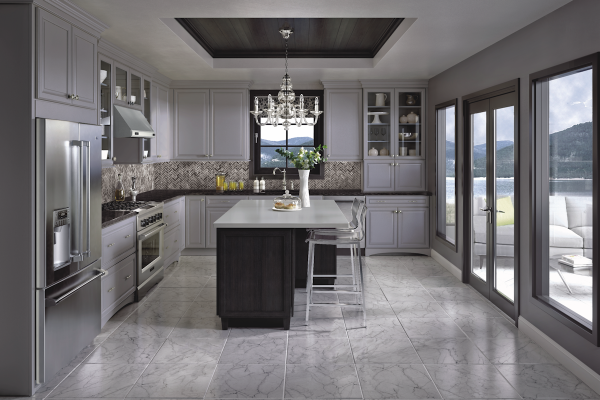 Now with 32 years of experience, Lawerence offers free design consultations for residential, commercial and industrial custom cabinetry for all of Central Oregon. The name, Interior Design Concepts came from being able to encompass not just cabinetry but also a full line of countertop solutions. Offering high quality brand name products in granites, quartz, acrylics and laminate countertops as well as a full line of hardware options. Visit our state of the art showroom which encompasses many interior solutions for you viewing. Remodeling is usually a challenge but Interior Design Concepts offers their services for their customers projects striving to make the project a simple and stress free process. A guaranteed delivery is part of the exellent service you will experience with Interior Design Concepts. With a three-week lead time the cabinets are actually built for your project per our specs and design!